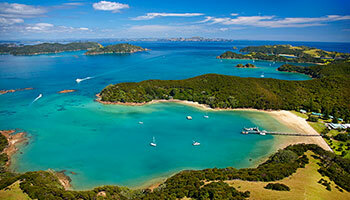 Truly an unmissable experience, make time in your itinerary to go dolphin watching in Pahia or Russell. 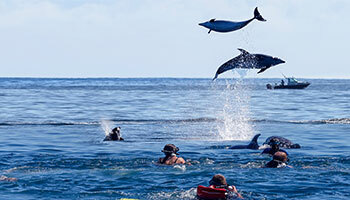 Encountering these intelligent and playful mammals up close in their natural environment is an experience you won’t forget. 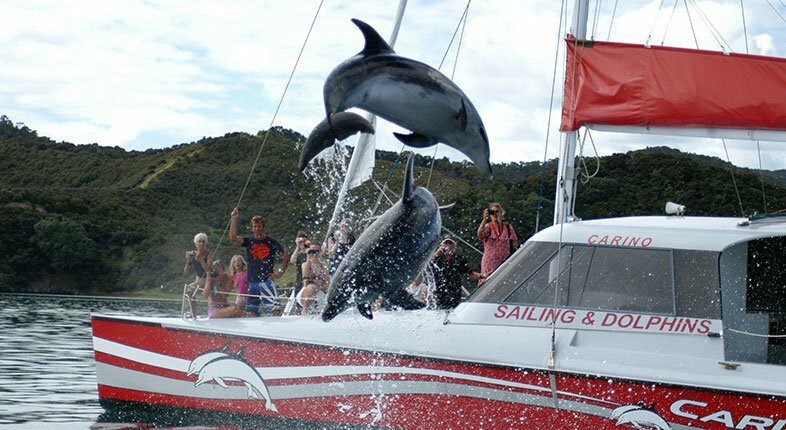 If you’re lucky and weather conditions permit, you might be able to go swimming with the wild dolphins in some of the warmest waters in New Zealand. 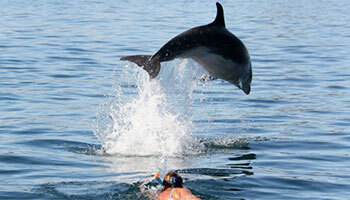 Read our comprehensive guide to Swimming with Dolphins in the Bay.